A happy little elf for a happy little Workshop. Jared: Had an absolute blast drawing this happy elf. I want this on a t-shirt, plz. The Workshoppers is a Dallas-based company whose business — as you may suspect from the name — is delivering workshops on a variety of topics, specifically topics geared towards being successful online (social media, SEO, marketing, etc). 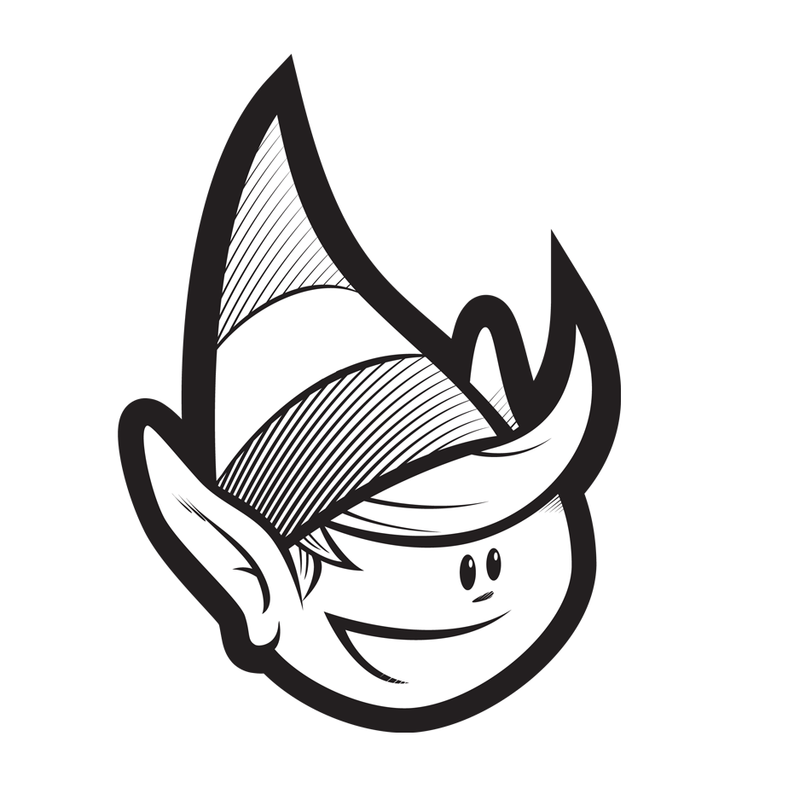 The idea of using an elf in the logo was there from the beginning. Initially, attempts were made to work elvish qualities into the wordmark by gently deforming letterforms to look like elf ears or an elf cap. Such attempts rarely work out, and that was they case here. But, despite the defeat of the elf-eared “W”, the elven mascot concept lived on. We explored some other logo options, like workshop tools or vintage signage, but the elf idea carried a lot of personality that was hard to resist. It only took a few sketches of the elf for me to realize that this was the clear winner. It holds the happiness, optimism, eagerness and freshness that The Workshoppers are all about.